Lareevar ਲਰੀਵਾਰ is the way of writing Gurbani where there are no spaces. Meaning all of the words are unbroken from one another in a continuous line as written below. Lareevar was the only way Gurbani was written until recent history. When Baba Deep Singh wrote Gutkas there were in Lareevar. 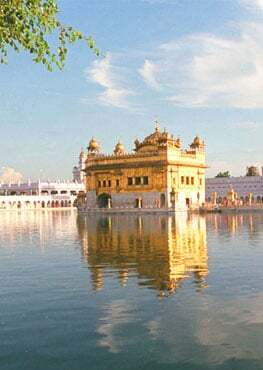 When he wrote Savrups of Guru Granth Sahib and Dasam Guru Granth they were also in Lareevar. Siri Guru Granth Sahib Ji which resides in Harimandir Sahib this day, as well as all old hand written Savrups, is in Lareevar. 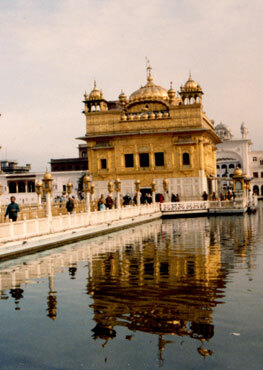 To this day pad ched (broken word) Savrups of the Guru are not allowed to be in prakash in the Harimandir Sahib. In 1950 the SGPC issued a resolution stating "until any decision is arrived at on any panthic level Pad ched (broken word) Bir should not be printed or installed". Later it became popularized and then common practice. Now Lareevar is somewhat of a lost art. Although the pad ched method is much easier to read there is no guarantee that it can be read correctly. It is not sure that when the words were broken up that it was done correctly. Even today, in spite of the hard efforts of the top Sikh scholars to ascertain the correct reading of the Gurbani, there are about 500-700 words where they have not been able to reach a consensus. It is common practice with pad ched to not pronounce the last vowel of a word so we can see how it has affected common pronunciated on the Bani, because this would not have been the case with Lareevar. With Lareevar we may notice the reader has to concentrate much more. Some say this is intentional and the extra concentration brings a much more intense experience of the Shabad Guru. In celebration of this year's 300 saal Guru Gaddi, you can start practicing this art in an effort to revive this practice of the Guru's time!